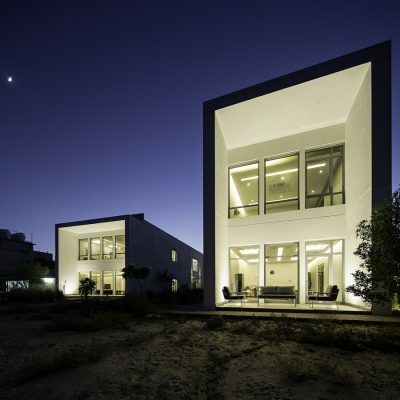 This project, consisting of six identical detached houses located in Bnaider Kuwait. 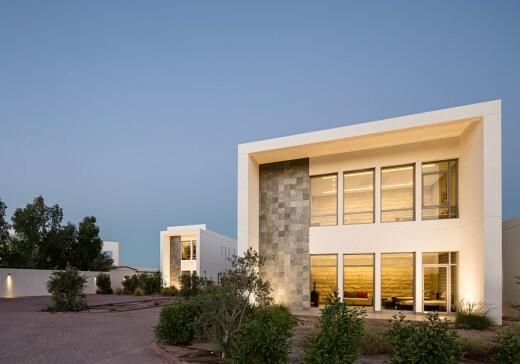 The design of this project consist of three phases, the first phase contains of two homes were completed in 2010 and they are 700 square meter the rest of the phases upon the client request. 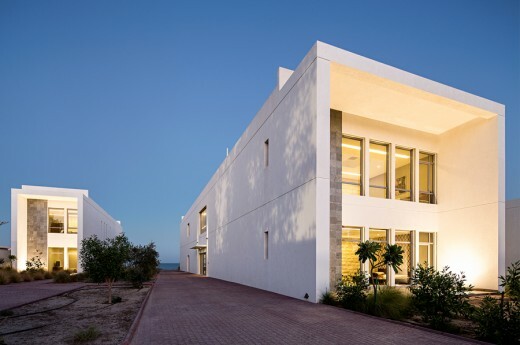 The volumes consist mainly of four facades which are completely exposed to the exterior through its east and west facades and closed by white walls in the north and south facades. The desert landscape design emphasises the land original relation between desert and sea. 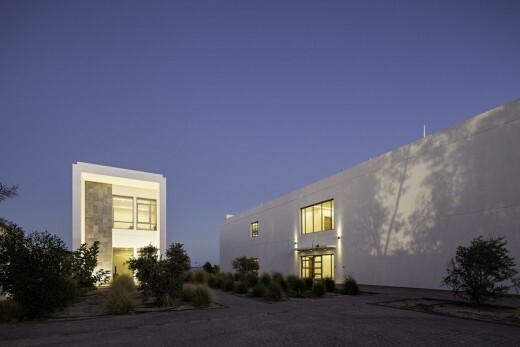 Fikrr Architects was founded in 2009. Fikrr word means thought therefore making things that work is ultimately about changing thoughts and ideas. We believe a well design takes time to invent and even more time to accept. Great projects always result from the meeting of a designer with a great client, the convergence of visions, the establishment of a common language and objective. 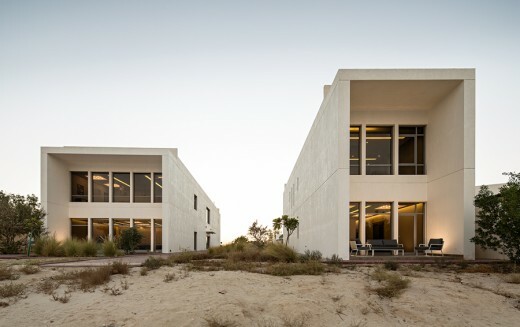 The Six Residential House by Fahad Alhumaidi is Winner in Architecture, Building and Structure Design Category, 2014 – 2015.